Sgt. Carl Rasmussen: Those of you who count the mines, make sure my card is updated. This task is as important as defusing mines. This unbearably tense war movie is the Danish entry for this year's Best Foreign Language film. 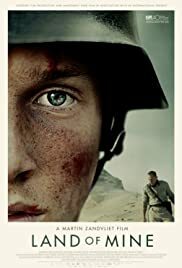 It's about a group of young German POW's who are forced to clear a minefield with their bare hands and it makes "The Hurt Locker" seem like a walk in the park. 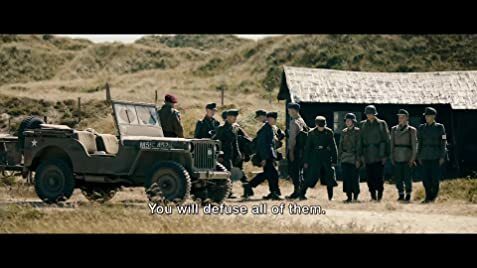 Brilliantly directed by Martin Zandvleit and beautifully played by a cast of mostly unfamiliar faces, this is an intelligent and unsentimental look a a piece of World War Two history usually ignored by the cinema and it has the courage to paint 'the enemy' in a good light and 'the allies' as villains. It's also beautifully shot in widescreen by Camilla Hjelm. See this. 54 of 55 people found this review helpful. Was this review helpful to you?